Geophysical logs are depth-registered graphical representations of the rock properties in a given well. When drilling is complete, a logging company is brought in to log the well. This involves lowering a series of sophisticated tools down the well. As these tools are brought back up, they record various rock properties, such density and porosity. Logs from a single well can been used to study the geology characteristics of a single well. Logs from multiple wells can be correlated to determine the geology across a large area. 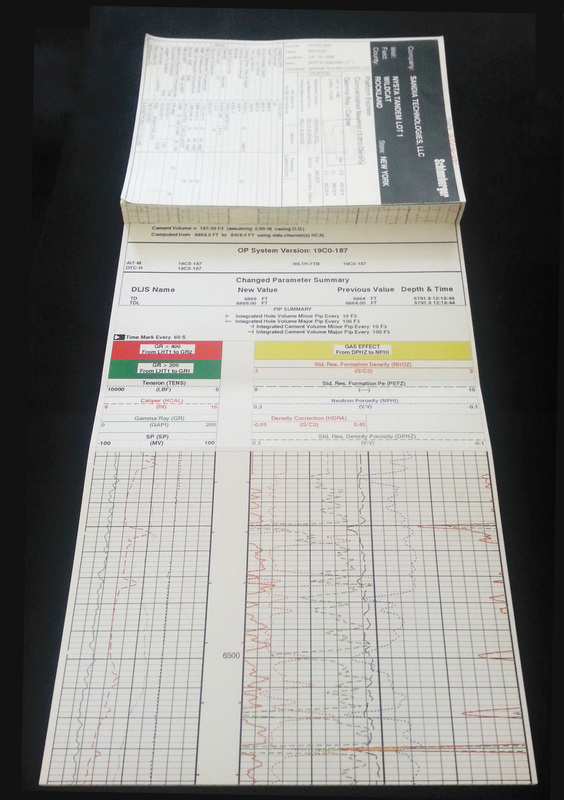 The NYSGS maintains a large collection of wireline logs from over 12,500 oil and gas wells. These logs are stored in the New York State Archives, however they have been scanned and are available for a fee on the Empire State Organized Geologic Information System (ESOGIS) at http://esogis.nysm.nysed.gov/. A portion of the collection has been digitized to create LAS files which can be used in a wide variety of geologic software.